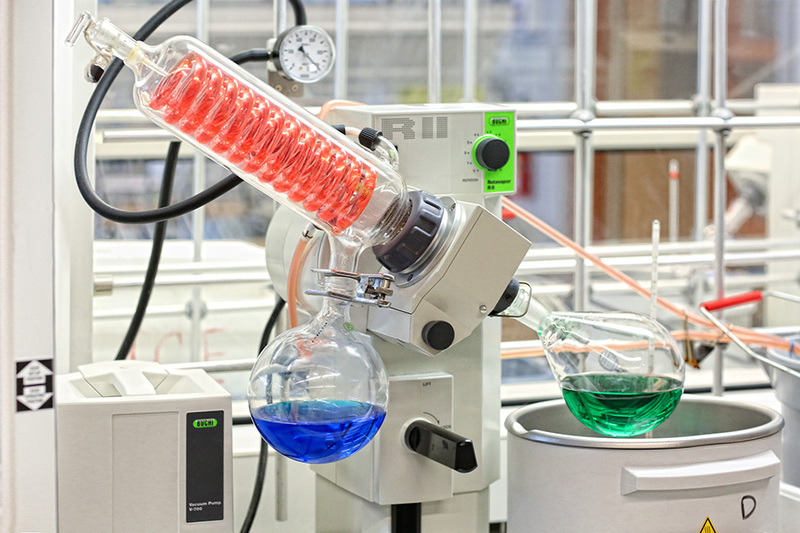 Chemistry strives to understand natural phenomena at the molecular level and connects with physics and mathematics, earth and environmental sciences, and biology and medicine. The chemistry department at Brandeis offers students a world-class education in an intimate setting where faculty and students work closely. Our students develop extensive, practical experience through lab courses and internships. Chemistry majors are encouraged to participate in independent research, which is an important part of a scientific education. Typically 10-12 seniors take Chem 99D and write a senior thesis for departmental honors. Many more sophomores and juniors are working in Department research labs. Our undergraduates have recently co-authored publications in the journals Inorganic Chemistry, Organometallics, Journal of the American Chemical Society, Organic Letters, Journal of Medicinal Chemistry, Chemistry and Biology, Physical Review, Journal of Organic Chemistry, and Chemical Communications. Our broad course offerings provide a strong foundation in the major subfields of chemistry such as biochemistry, inorganic, organic and physical chemistry, and delve into emerging interdisciplinary areas such as chemical biology, biophysical chemistry, and materials chemistry. Chemistry is the central science and the chemistry major provides a solid preparation for professional work in chemistry and allied fields; for study at the graduate level in chemistry and in other related fields (biochemistry, environmental science, pharmacology, polymer science, etc. ); for professional schools (e.g., medicine, dentistry); and for developing an understanding of the technological and scientific issues challenging our society today — useful professionally in law and business, as well as in everyday life. 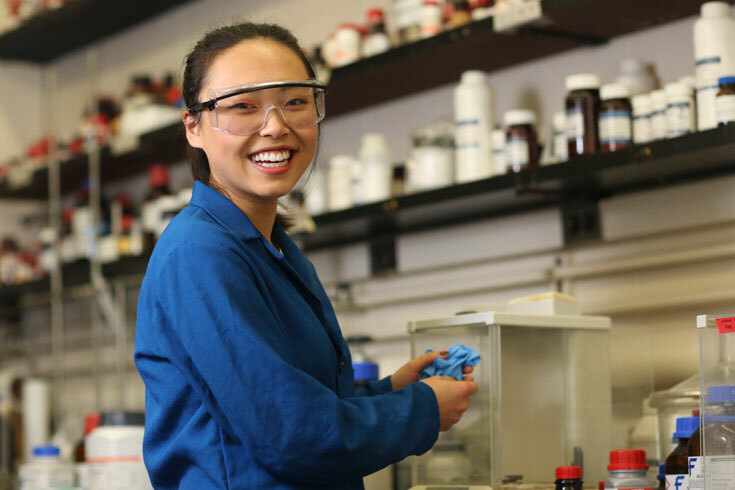 Brandeis chemistry graduates go on to advanced study in chemistry, medicine, veterinary medicine, business, law and other fields. Our graduates earn PhDs at Berkeley, CalTech, MIT, Harvard, University of Michigan and many other programs and are enrolled at Harvard Business School and other top institutions. Many chemistry majors enter the job market right after graduation in the pharmaceutical, chemical, financial, and consulting industries.